Trends come and go by definition, but there is one trend flourishing in Alaska that shows no sign of slowing: supporting and buying local. Over the last 10 or so years the market for local products has grown substantially, including products from all walks of life. While Alaska has been in the microbrewing game for a while now, the state is beginning to catch up to national trends on the hard liquor front as well, with five local distilleries opening in the last five years. 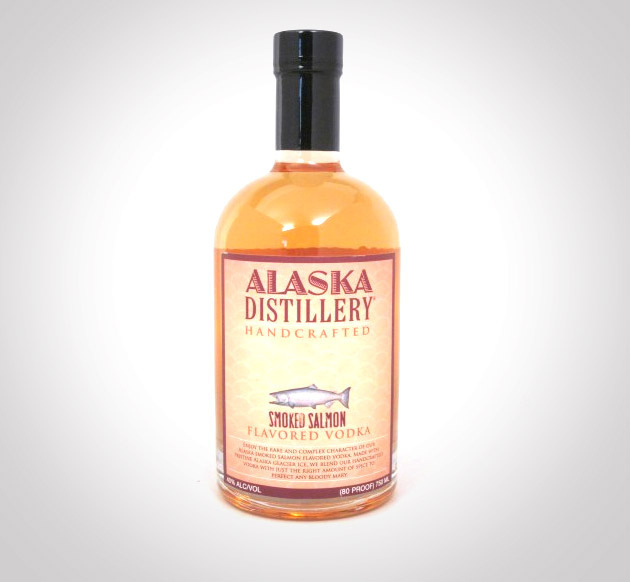 Each provides some very unique and Alaska-inspired products, such as smoked-salmon vodka and spirits made with glacier-fed water. For travelers, a bottle of locally produced vodka or whiskey is always a great gift or souvenir. Find them at local bars and liquor shops across the state or check distillery websites for online or onsite purchases. Port Chilkoot Distillery – There may not be any stoplights in the small Southeast Alaska city of Haines, located in the northern part of the Alaska Panhandle, but there are plenty of successful small businesses and Port Chilkoot Distillery is one of them. Established in July 2013 and known mainly for its Icy Strait Vodka and the red octopus on its label, the distillery is named after the historic Fort Seward neighborhood where it’s located and which was once called Port Chilkoot. High Mark Distillery – High Mark Distillery in Sterling was established in September 2013. Sterling is a small town along the Sterling Highway in Southcentral Alaska’s Kenai Peninsula. In making their signature High Mark Vodka and Nickel Back Apple Jack, the distillery combines traditional Irish and Scottish distilling methods with modern German and American micro-distilling equipment. Ursa Major Distilling – Producer of Long Winter Vodka, Summer Harvest Gin and Gold Star Liquor, Ursa Major Distillery was established in December 2012 and is located in the hills surrounding Fairbanks, Alaska’s second largest and “Golden Heart” city. The distillery prides itself in using local barley grown in nearby Delta Junction. Alaska Distillery: Alaska Distillery is the state’s first local producer of spirits and the largest of the five existing distilleries. It was established in July 2009 in the foothills of the Alaska Range and uses grains, potatoes and all local ingredients in producing its wide offering of flavored vodkas, Bristol Bay Gin and Alaska Outlaw Whiskey. There is another twist to their line of products; Alaska Distillery uses water that is collected from the glaciers and icebergs of Prince William Sound. Their best known products include Permafrost Vodka, Smoked Salmon vodka, Purgatory Hemp Vodka and Fireweed Vodka. Bare Distillery: Established in Sept. 2010, Bare Distillery has just one product in their portfolio, Truuli Peak Vodka, bottled in a stylishly designed tall, thin, clear bottle. Mountains and glaciers adorn the frosty label, a tribute to the origin of the beverage’s name. At 6,612 feet above sea level, Truuli Peak rises higher than any other peak in the Kenai Mountain Range. Truuli Vodka is produced with glacier-fed water, Alaska-grown barley and local honey. This photo is used under a Creative Commons license by Headlines & Heros.